Daniel & Kazuya's Outdoor Photography of Alaska - June 2018. Photos of Alaska - we generally post the best photos from this month on the first of next month. Click a button below if you don't want to go to the newest photos. Click on the photo to go to the newest pages. Scroll down for a description of this month’s contents. 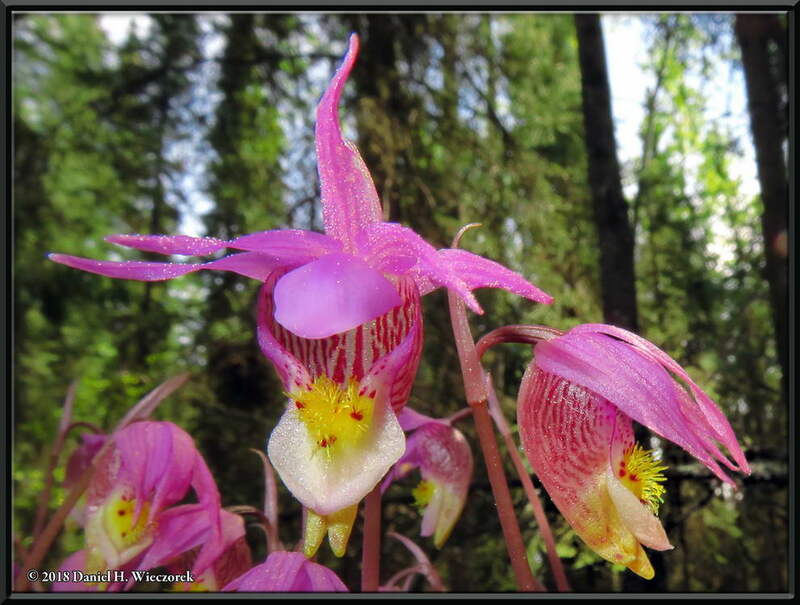 "Calypso Orchid" - (Calypso bulbosa var. americana). May 27th, 12:48 PM. We get 2% of whatever you spend if you go to Amazon from this link so please shop on Amazon from here.